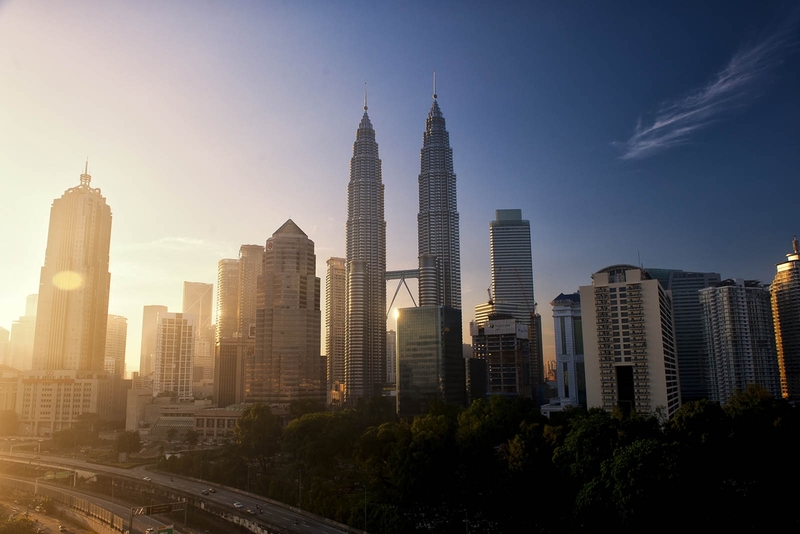 How about a fancy night out in the heart of KL city? Uniqueness of this attraction Heli Lounge Bar brings excitement and a new dimension of entertainment to the capital city of Kuala Lumpur. Located on the 36th floor of Menara KH in Jalan Sultan Ismail, this magical rooftop bar provides one of the best 360-degree views of the city. The rooftop space itself is beautiful with or without sunlight and it is also one of the most known spots to catch a breathtaking view of Kuala Lumpur’s finest sunset. Other things to do here? Head on to the lounge and nightclub area located on the 34th floor to show off your dance moves. They usually have a great selection of music too, especially if you dig some jazz and R&B. Not to mention, the impressive interior decorations is worth checking out! Getting around If you are from the city centre, take a monorail to Raja Chulan Monorail station and head north on Jalan Sultan Ismail. Menara KH will be on your left. There is a strict dress code for men. Shorts are not allowed! It is the perfect spot to celebrate a birthday bash or have a romantic anniversary evening with your other half. To avoid disappointment, try and book for your table earlier as this place is usually full on Friday nights and weekends. There will be additional charges to enter the rooftop bar after 9pm. As the price to dine here is a little expensive, be prepared to bring enough cash just in case the credit card machine is out of service. Parking space is very quiet. Be sure to check your surroundings especially if you are alone. Do not leave your bags or valuable items unattended as the crowd is big, especially on the weekends. As there are no boundaries or rails on the 36th floor, be sure to stay away from the edge as it might be dangerous. Witness the promising view of Kuala Lumpur skyline without barriers at this contemporary nightlife spot. It’s the perfect place for a romantic evening date! We had a brilliant time here. Great music, cocktails, and food. Because it's low season it wasn't too busy and we got a great seat overlooking the mag...read more We had a brilliant time here. Great music, cocktails, and food. Because it's low season it wasn't too busy and we got a great seat overlooking the magnificent Petronas Towers all lit up, dominating the gorgeous night scene over Kuala Lumpur. Best view of Kuala Lumpur. You have to pay a drink first before entering the rooftop. But really worth it. Attention, dress code after 9pm, no shorts...read more Best view of Kuala Lumpur. You have to pay a drink first before entering the rooftop. But really worth it. Attention, dress code after 9pm, no shorts allowed for guys.